I have been making salads using mangoes a lot, this mango poha and mango salsa have been favourites and I try and create new versions every now and then. More because we hoard a lot of mangoes sometimes and end up rustling up a quick salad for dinner. We used to eat only mangoes for dinner sometimes and still do that occasionally as the husband just loves anything sweet for dinner. Recently I made a new version of mango poha with coconut milk and it has already been repeated, served to friends and been loved by all. Many friends tried it when I shared the recipe on facebook and instagram. 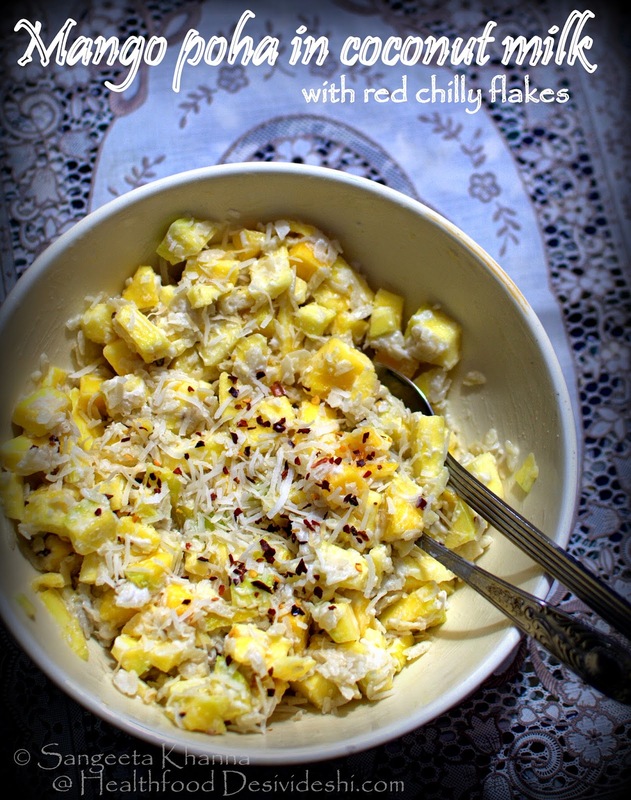 I am on instagram @sangeetaamkhanna, please follow me to get more updates on my everyday meals and breakfasts. This is one of those convenience meals that you would always choose over pastas and instant noodles. I bet. Try this mango and avocado salad and see if you like it. One more wholesome and filling salad with seasonal fruit. Choosing seasonal fruits and using them for optimal taste and nourishment is a trick one must learn. All of us have individual taste and we might like things a little differently hence it is important to find out a way to create tasty meals with easily available ingredients day after day, every single day. The purpose of this blog is to motivate everyone to cook tasty healthy meals at home and that is why I was glad to share health tips in Good Housekeeping India (July issue). 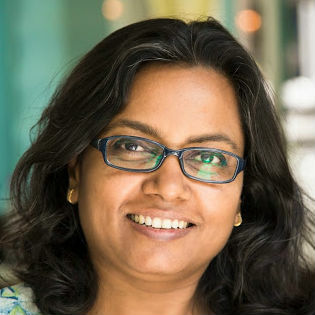 I was elated when Manjira Dutta, the Editorial Director of the magazine complemented me personally to have listed so practical and easy tips to follow. I talked about those everyday habits and ways to build up health quotient every single day in my last post. 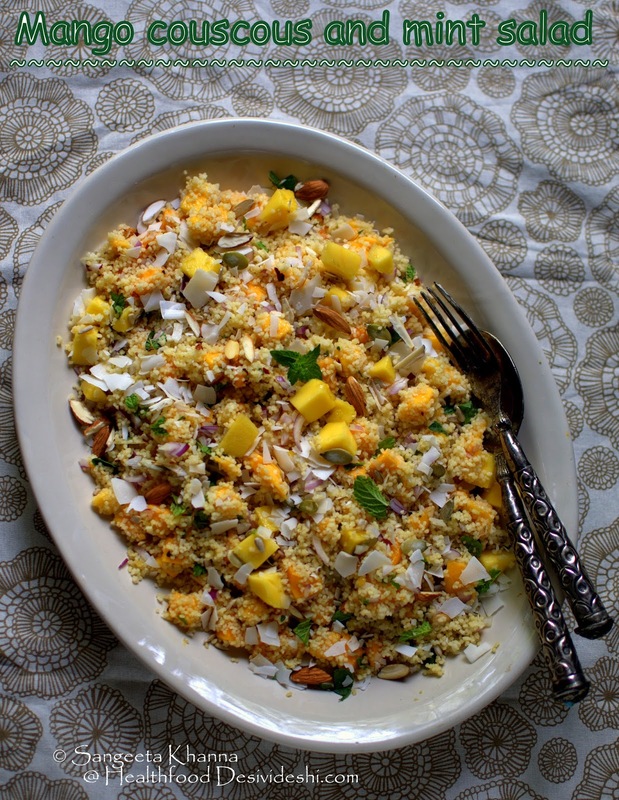 Today I am sharing one of the recipe that featured in Good Housekeeping India and that is a mango couscous salad with mint and coconut flakes. This tropical flavored couscous is a refreshing change from the regular tabbouleh that is a part of Mediterranean meals. This kind of flavours are received well with people from anywhere in the world as the natural goodness of mangoes and coconut never fails to impress. Real natural flavours from fresh ingredients work their charm on everyone. For this couscous recipe we prefer using sweet and tart mangoes as they provide a wider range of flavours in the dish. Fresh coconut will be great but you can use the dehydrated tender coconut chips too, they soak up moisture from the mangoes and get really sweet and meaty. Few nuts and seeds make this couscous dish quite filling and healthy. Mix butter, salt and lime juice to the hot water, dissolve well and pour over couscous in a wide bowl. Cover and let it soak for 10 minutes. Fluff up with a fork when it cools. Keep aside. Mix the mango cubes, onions, mint, chili flakes and the chopped almonds and sunflower seeds together. Toss to mix well. 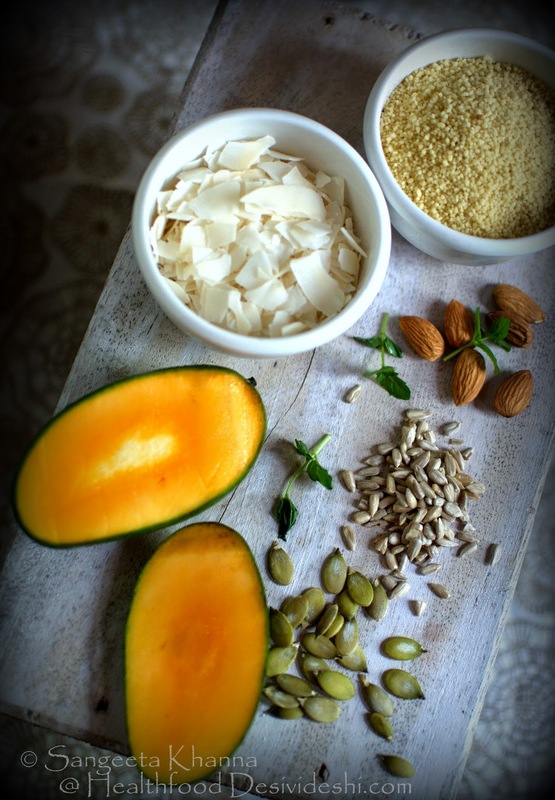 Mix the mango mixture with the couscous and fold in the grated coconut or the tender coconut chips. Adjust seasoning and serve on a large platter. Sprinkle some more coconut chips and chopped mint over it to garnish. 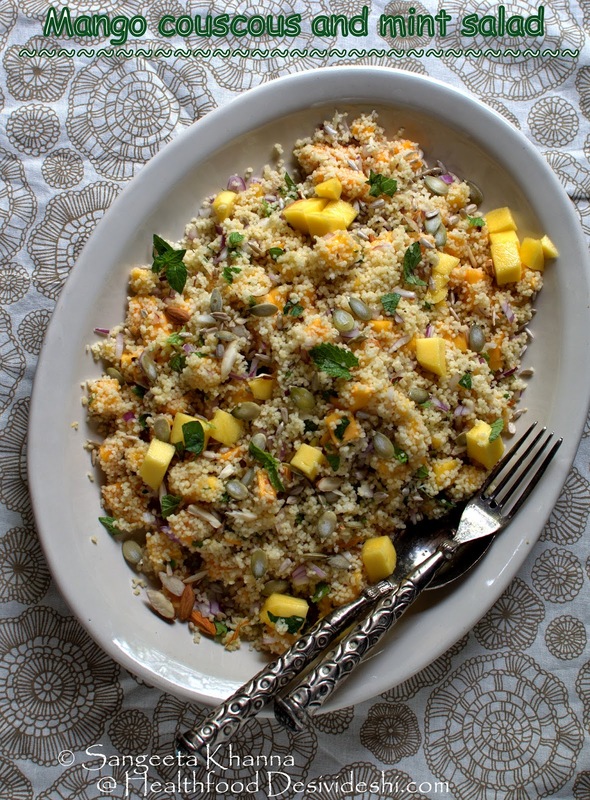 This mango couscous and mint salad will be a favourite believe me. Just like the mango poha with onions and coriander greens and mango coconut milk poha this recipe is bursting with mango flavours and is a filling tasty wholesome meal. I was drooling the moment i saw the picture of that mangoe..